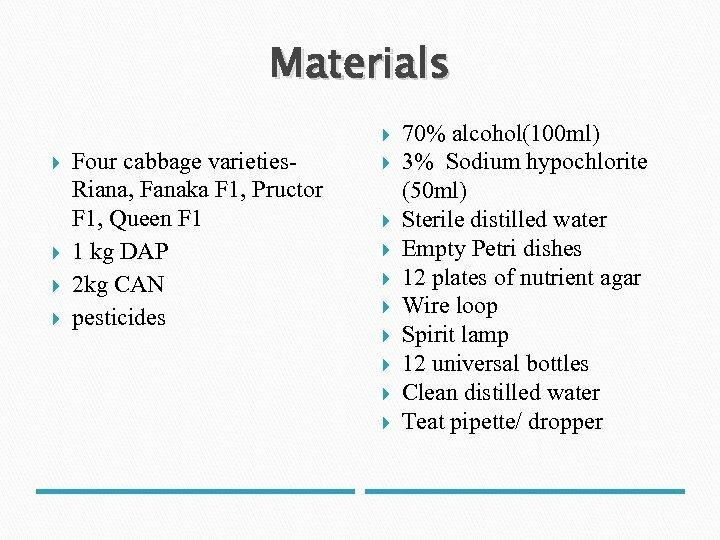 Reference Bacteriology exercise book, fourth year, isolation of bacteria http: //go. warwick. ac. 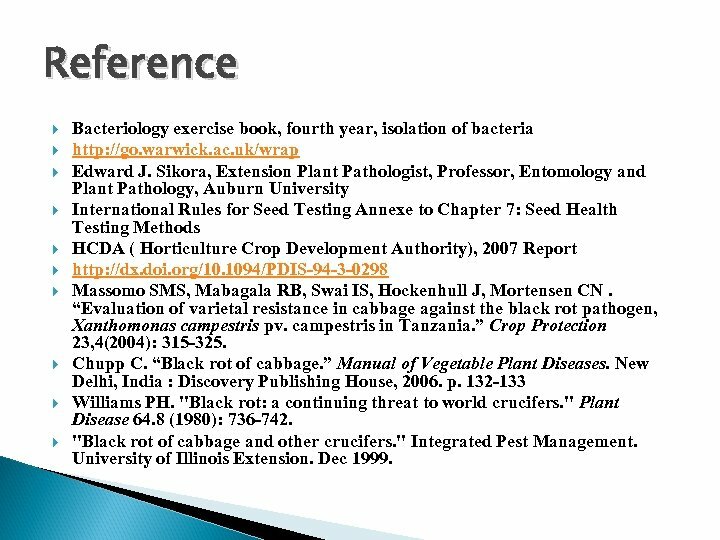 uk/wrap Edward J. Sikora, Extension Plant Pathologist, Professor, Entomology and Plant Pathology, Auburn University International Rules for Seed Testing Annexe to Chapter 7: Seed Health Testing Methods HCDA ( Horticulture Crop Development Authority), 2007 Report http: //dx. 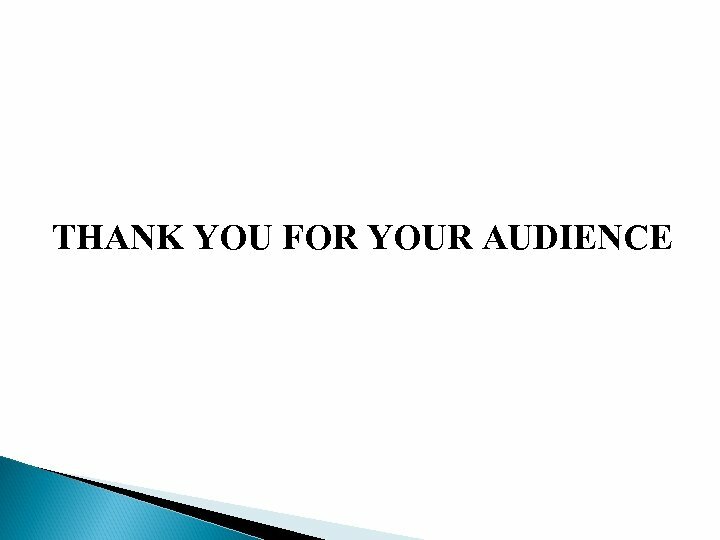 doi. org/10. 1094/PDIS-94 -3 -0298 Massomo SMS, Mabagala RB, Swai IS, Hockenhull J, Mortensen CN. 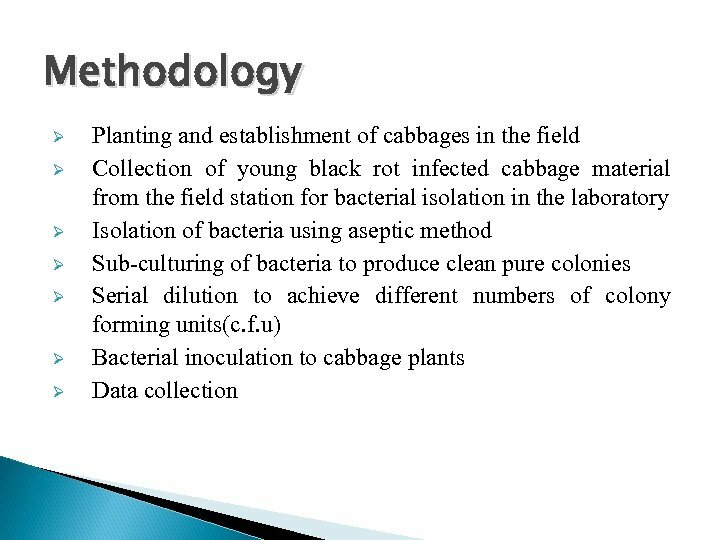 “Evaluation of varietal resistance in cabbage against the black rot pathogen, Xanthomonas campestris pv. campestris in Tanzania. 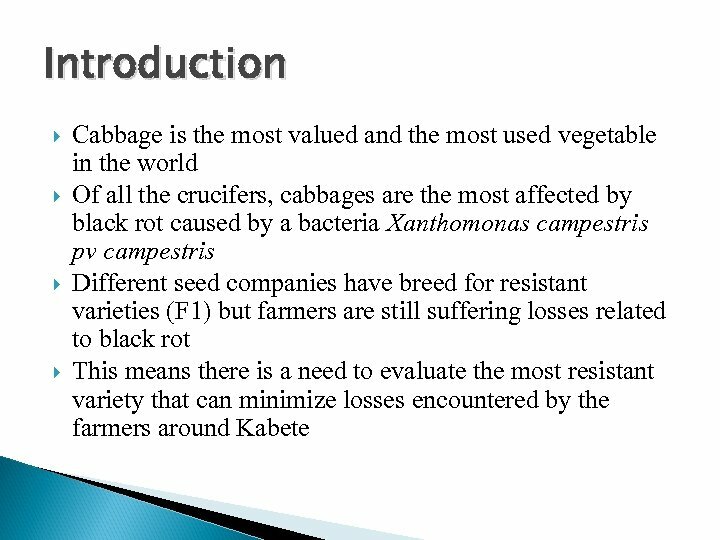 ” Crop Protection 23, 4(2004): 315 -325. 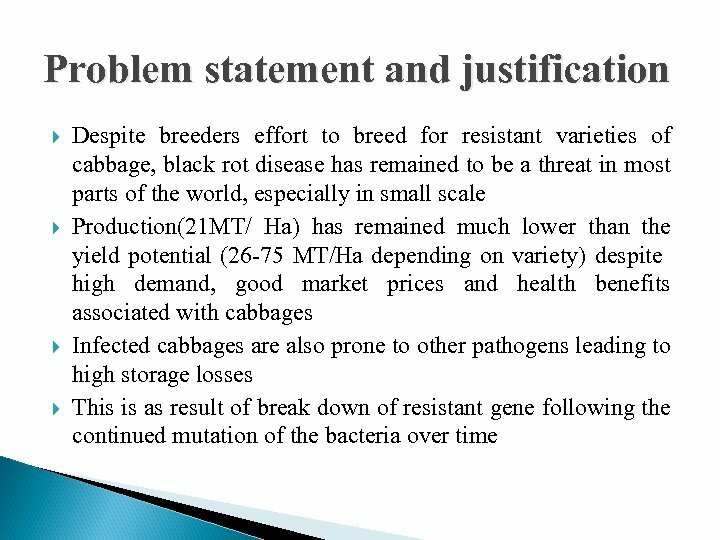 Chupp C. “Black rot of cabbage. 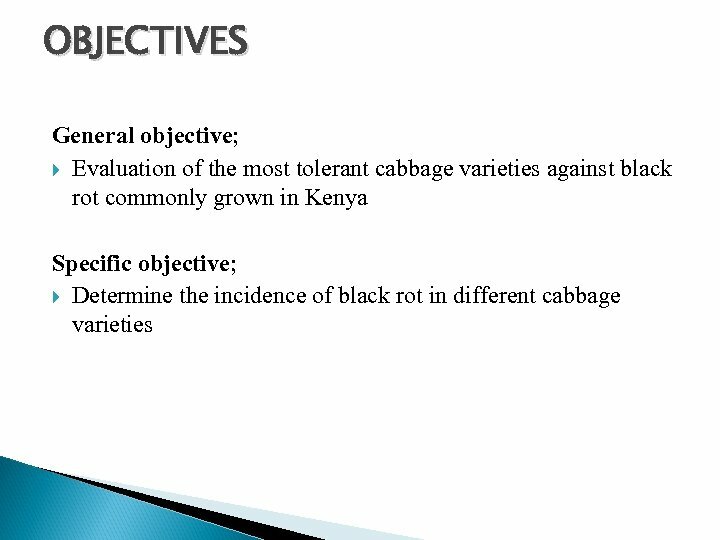 ” Manual of Vegetable Plant Diseases. New Delhi, India : Discovery Publishing House, 2006. p. 132 -133 Williams PH. 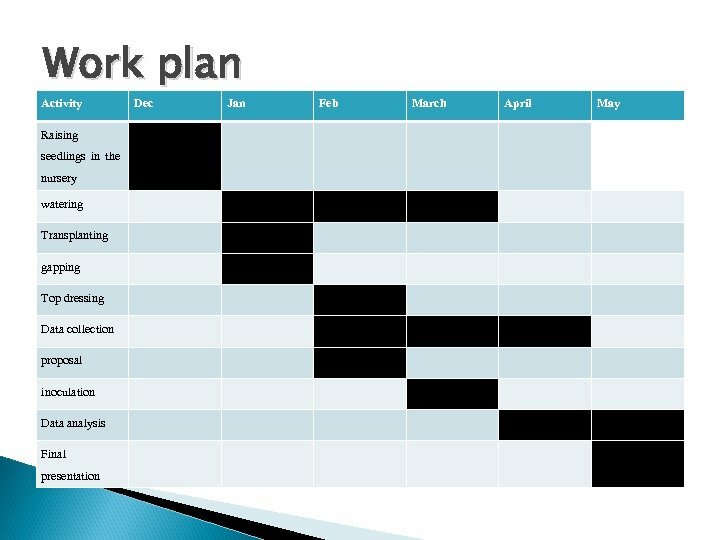 "Black rot: a continuing threat to world crucifers. " Plant Disease 64. 8 (1980): 736 -742. 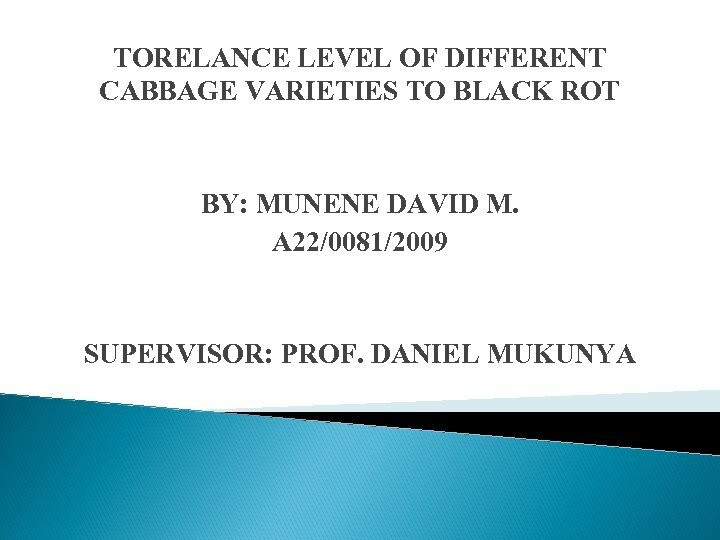 "Black rot of cabbage and other crucifers. " Integrated Pest Management. University of Illinois Extension. Dec 1999.